Looking for a way to amp up the FUN and excitement in a dynamic and interactive way? 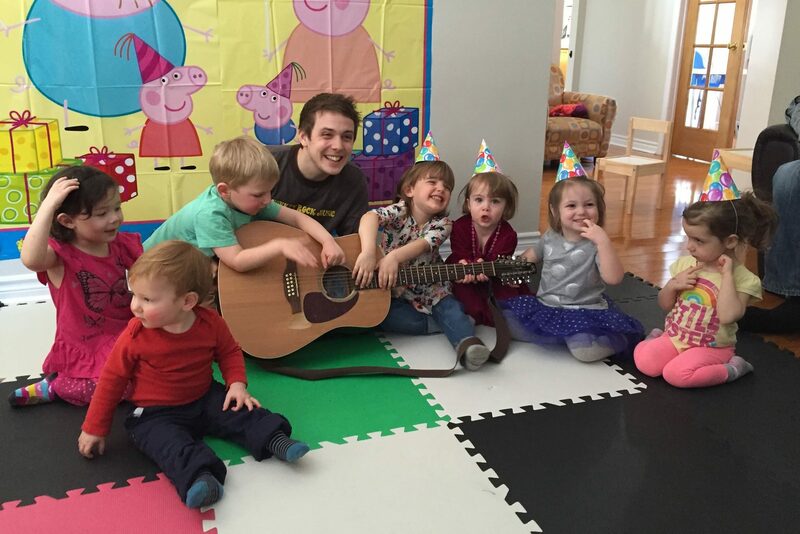 The kids will laugh, sing, dance and cheer along with our Monkey Rock Music Instructor! OverviewDo you want to make your child’s birthday rock? The entertainment at your child’s party can be hassle free! 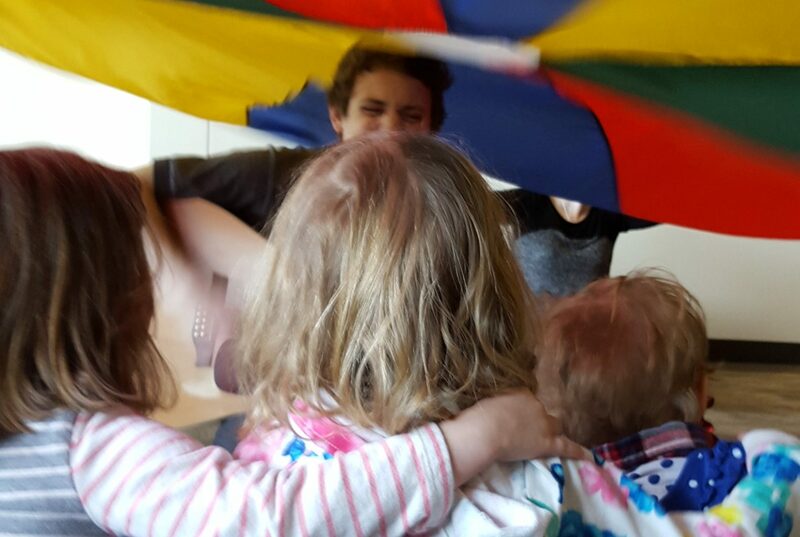 Your preferred instructor will bring along their guitar, a big bag of musical instruments and the rainbow parachute to play with! DetailsSo, what happens at the party? Besides all the rock and roll you can handle? 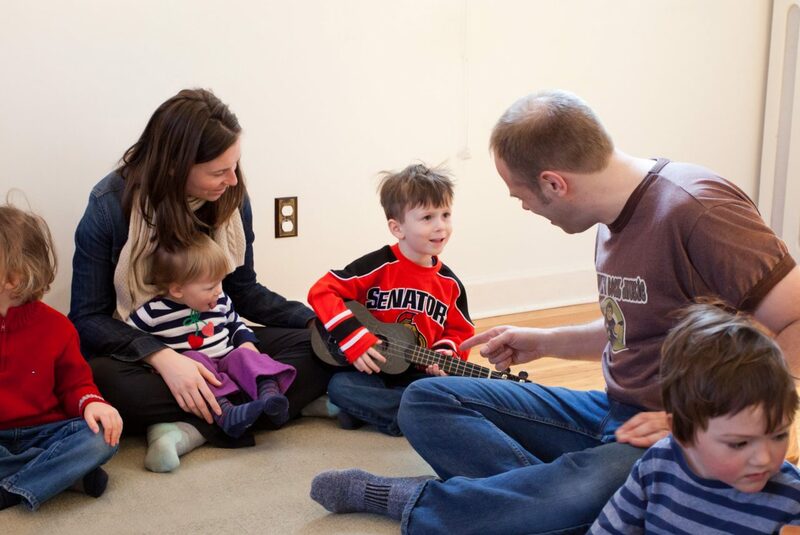 We start by learning all the kids names and then work them into our ‘theme song’, which we all sing together. After a hand warm-up song, we sing a few standards that all the kids will know, then teach them a few new songs. We have a collection of instruments from around the world, and we’ll bring one to the party for everyone to take a look at and try. We usually do a few standing-up, moving-around songs, and then finish with a bunch of kids percussion instruments. Each show is 45 minutes long. Definitely! Let us know your little one’s favourite and we’ll do our best to include it (no Stairway or Freebird, please). There will be a special present for the birthday child – you can choose between a Monkey Rock Music CD or t-shirt for your child. PricingGreat value for a unique experience! A Monkey Rock Music Party starts at only $159! Note location and number of guests may increase the fee. Please fill out our booking form to receive an accurate quote. * Weekday afternoons are also a possibility, please email info@monkeyrockmusic.com for weekday availability. Unfortunately we are not currently offering birthday parties in the Montreal area. This may change as of January 2019.